The challenge of finding the ideal present for car lovers has just got easier, following the launch of six new Autoglym gift packs. The newly-bolstered range includes a Winter Collection, which will be on sale ahead of the freezing temperatures that are forecast to grip the UK this winter. Priced from £12.99 (RRP) to £74.99 (RRP), Autoglym’s broad retail range now boasts 26 different gift packs, with options to suit every budget and requirement. 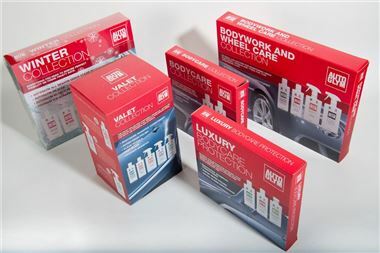 The new additions to the range start with the Bodycare Collection (£12.99 RRP) and Luxury Bodycare Protection (£19.99 RRP) kits – perfect for regularly washing, polishing and protecting paintwork – while the new Bodywork and Wheel Care Collection (£24.99 RRP) also includes products to clean and protect wheels and tyres. 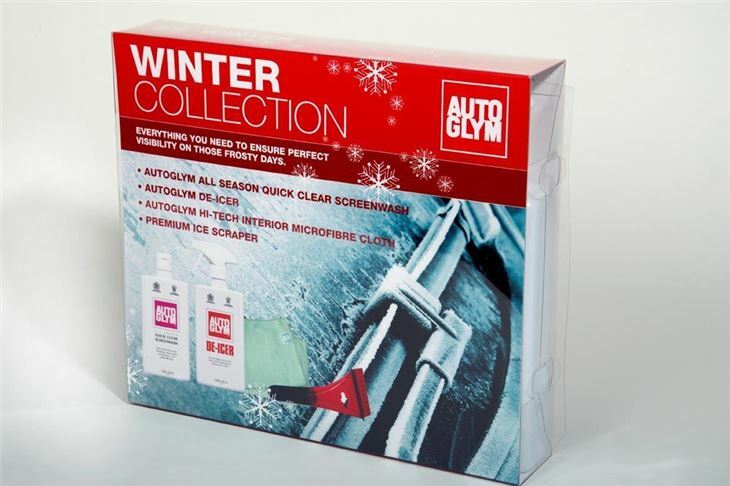 The new Winter Collection (£15.99 RRP) – containing Autoglym’s De-Icer, All Season Quick Clear Screenwash, a Hi-Tech Interior Microfibre Cloth and a premium windscreen ice scraper – is ideal for combating the effects of the extreme winter weather. For motorists keen on cleaning and protecting the exterior of their car, the new five-product Valet Collection (£29.99 RRP) fits the bill. It contains everything needed to maintain and protect bodywork, wheels, and glass. Meanwhile the new Professional Valet Collection (£49.99 RRP) features ten products for cleaning, maintaining and protecting interior as well as exterior surfaces. The six new gift packs are packaged in new presentation boxes that feature useful step-by-step guides on how best to use the constituent products together to achieve the best finish and protection. The most comprehensive kit produced by Autoglym is the £74.99 (RRP) Concours Collection which features 14 items for motorists to achieve the ultimate finish on all areas of their car. Alongside its range of car care kits, the British specialist also markets tailored collections for motorists with pets (the Canine Collection at £19.99 RRP), for bikers (the Motorcycle Care Kit at £24.99 RRP and the Motorcycle Valet Case at £54.99 RRP) and for mobile homes (the Motorhome & Caravan Care Kit at £27.99 RRP). As well as being used by the households of Her Majesty The Queen and H.R.H The Prince of Wales, Autoglym’s products are also sold in 45 countries around the world.